Review: 2012-04-20, Rick Hawn vs Lloyd Woodard gets three stars only for the beautiful knockout in the second round. Rick Hawn (12-1-0) entered as the No.34 lightweight in the world while Lloyd Woodard (12-1-0) entered as the No.31. 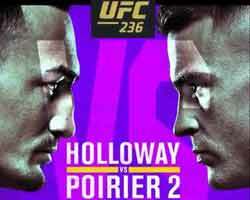 Hawn vs Woodard is the semifinal of the Bellator Lightweight Tournament (Bellator 66); undercard of Aoki vs Alvarez 2. Watch the video!